Get your Coinbase bitcoin wallet. With your free Coinbase bitcoin wallet besides a strong design, Coinbase Exchange does not offer anything special. Reduced trade fees for a limtied time are currently its strongest feature, but it lacks functionalities that most traders would require. Coinbase was launched in 2012 as a cryptocurrency exchange based in the United States, it currently has its headquarter in San Francisco, California. It launched Coinbase bitcoin wallet and Coinbase Exchange in January 2015. Coinbase is well known for not supporting any cryptocurrency besides Bitcoin, despite the fact that even Litecoin creator Charlie Lee works at the exchange. Even if Litecoin support would be added to the exchange one day, then it would still leave limited trading possibilities with just two coins to trade in. 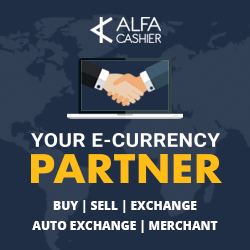 Since Coinbase Exchange is currently only available in a number of U.S. states, also fiat markets are limited to USD. Given that Coinbase Exchange is a new platform, the bid-ask spread on BTC/USD is relatively low at about 30 basis points. This is helped by the fact that the new exchange does not charge any trading fees until the start of April this year, afterward a fee of 25 basis points will be charged. Without these low fees, Coinbase Exchange would not be very attractive at all. Besides limited cryptocurrencies to trade in, margin trading/short selling is not available either and the available order types are disappointing as well. The platform supports limit orders, but does not include market orders and advanced order types such as stop-loss orders. In terms of funding an account with fiat currencies there are not many options available. Users can choose to do an ACH transfer which is cheap but slow. Additional funding options might become available when the overall availability of the exchange increases. United States based exchange Coinbase was announced in 2012 and first registered as a Money Services Business with The Financial Crimes Enforcement Network (FinCEN) in April 2013. The exchange later re-registered its current headquarter in San Francisco, California in September 2014 with registration number 31000053968716. It shows Coinbase desires to be compliant, which is also shown by its engagement in regulatory conversation. But despite claims that Coinbase Exchange is the first regulated exchange in the U.S., it has to be noted that Bitcoin related companies (including Coinbase) still exist in a regulatory “grey zone” in states such as New York and California. The company is committing to undergoing quarterly financial and IT audits, but has so far not even participated in a recent public Proof of Reserves audit. The compliance quality of the exchange has therefore been strongly exaggerated. Coinbase has managed to deliver a very simple and clean platform, which can be easily accessed from multiple platforms through the responsive website. Assisted by the exchange’s limited functionalities, Coinbase provides a neatly organised and complete trading screen. For now, Coinbase has set an example with regard to design. The documentation available at the exchange does a good job of covering any relevant aspect of the platform. The documentation also covers Bitcoin, which is what leads to one point of criticism. The advantages of Bitcoin are mentioned, but the disadvantages such as the (price) risk inherent to holding the digital currency are harder to find. Furthermore, even though Coinbase offers very extensive documentation, the available options to contact the exchange are limited. Coinbase cannot be reached via telephone or chat, leaving an email or posting a public question as the only contact option, even though live support is crucial to properly address the most imminent concerns.